The new business building will be placed at the corner of Grandview and Belmont, taking over the current green-space there, Director of Campus Construction Mike Engelman confirmed. Rumors have been flying ever since an anonymous $23 million gift to Lipscomb was announced at the Imagine Conference in April, the largest gift in school history. 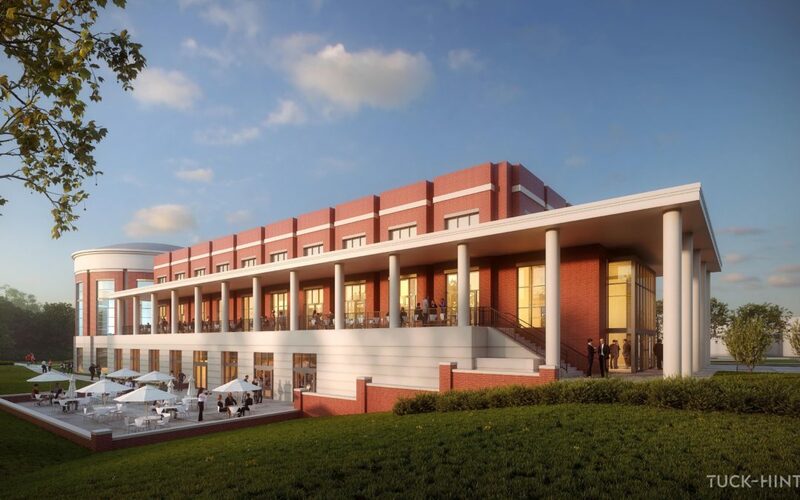 President Randy Lowry announced the gift and a few things it would be used for, such as the business building, more parking and additions to the global learning location in Florence, Italy. The plans for the new business building are still in the works, but Dean of Student Life Josh Roberts talked a little about the advantages of the project as a whole. “The project will convert existing green space into multi-use space that addresses some of our most pressing student needs – new classrooms, new green features, new student commons spaces and new parking resources,” Roberts said. Roberts also discussed what benefits stood out to him. However, many details are still being worked out, including the start and end date of construction. Sophomore finance major Matt Sherrod said he personally does not think the College of Business needed a new building. Despite the lack of “need,” Sherrod noted that he is still looking forward to it. A timeline for the building to be built is still under construction, as preliminary plans are still being made. Currently, construction has started next to the Ezell Center on the other side of campus for the new Shinn Center, which will be for the College of Entertainment and the Arts. The Shinn Center was covered in last year’s gift of $15 million by former NBA Owner George Shinn.